I’ve mapped out a 176kms on road – off road route of County Carlow. 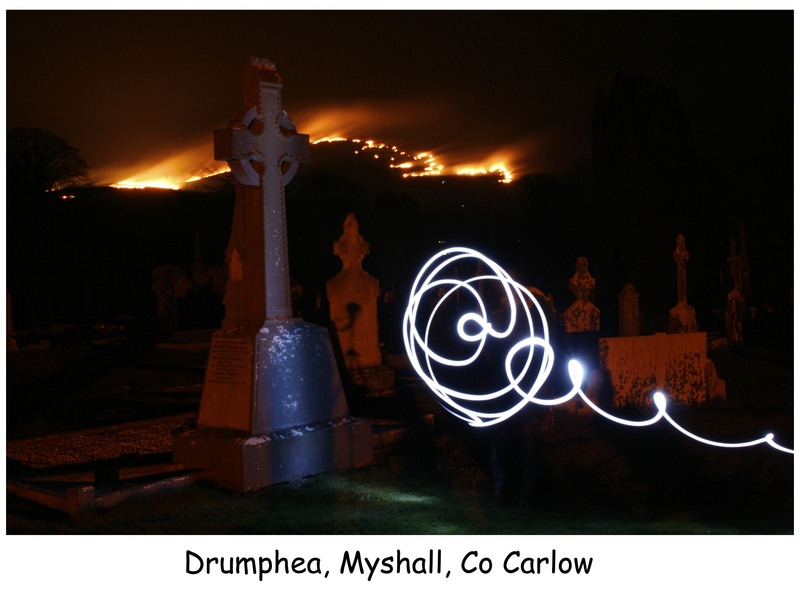 The route starts and finishes at Carlow Tourist Office and takes in a lot of sacred sites dotted around the County and just over the borders. It includes 50kms of the Barrow Track, the only riverside track in the entire country, a small section of the South leister Way and the Wicklow Way. For anyone interested in bike touring it’s a nice route to get started on and a great way to see the best of Carlow. This is not an established route but I aim to make it one! I havent done all of this 135kms loop of County Carlow but I will in the summer. Leave Carlow taking the Barrow towpath which you follow all the way to St Mullins. This is obviously flat the whole way down but that’s no harm with what has to come later! The Barrow Towpath is beautiful and differs from Canal walking as it is a follows the meanders of the River. It’s a gem of a mtb trail on a fine summer day. And there are significant places of historical and religious importance such as Leighlinbridge, Borris, Graiguenamanagh and the monastic site at St Mullins. Leaving St Mullins talk a short road section before climbing up onto the ridge of the Blackstairs. 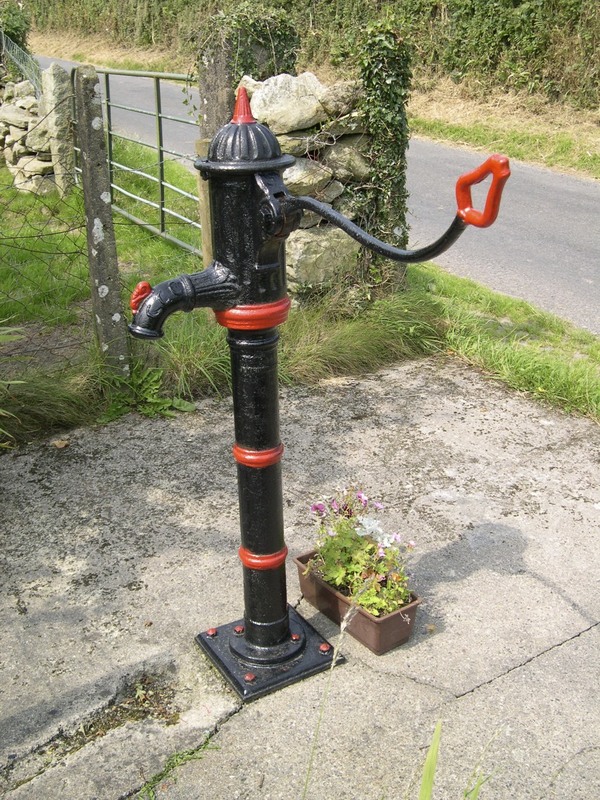 This is a well known walking trail along the Carlow – Wexford border. Continue across the Scullogue Gap and rise up to the peak of Mount Leinster, the highest point in Carlow and Ireland’s fifth highest mountain. Take the road down to the Nine Stones and follow it across to the t junction. You are now on the Sth Leinster waymarked Way. You will shortly go off road again and rejoin the trail which you follow to Kildavin. Take the road to Clonegal village and Huntingdon Castle. Look for signs to the Wicklow Way, again on quiet roads. After about 6 kms you leave the road for a beautiful short section through wooded hillside on the famous Wicklow Way. 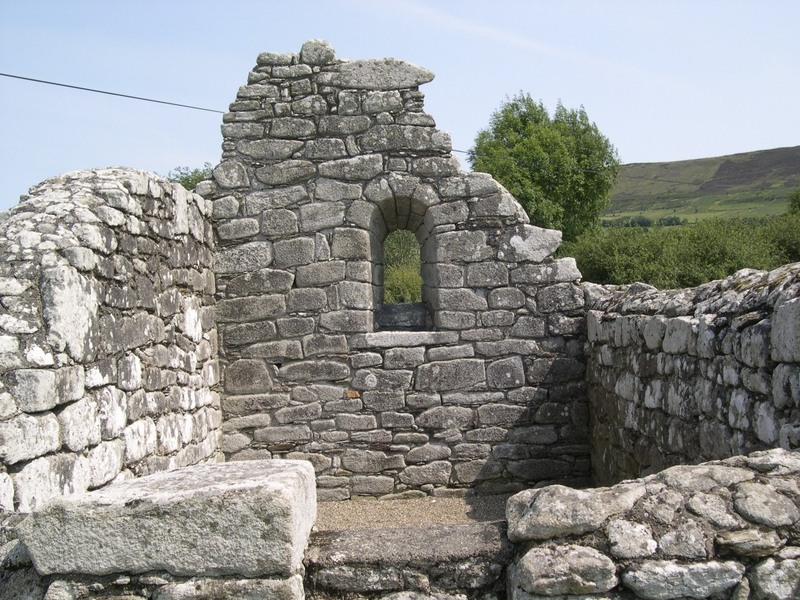 We leave the Wicklow Way to go to the ruins of Aghowle Church. The area from the Blackstairs to here is where Columbanus is said to have been born. After Aghowle we follow winding lanes to Ardattin and the bridge on the River Slaney at Agahde – a nice place for a picnic or a swim. Time to head back to Carlow now and we again keep to the back roads and follow the route over by Kellistown Church ruins and into Carlow Town. This has the potential to be a mega route with a little bit of mapping and signposting.